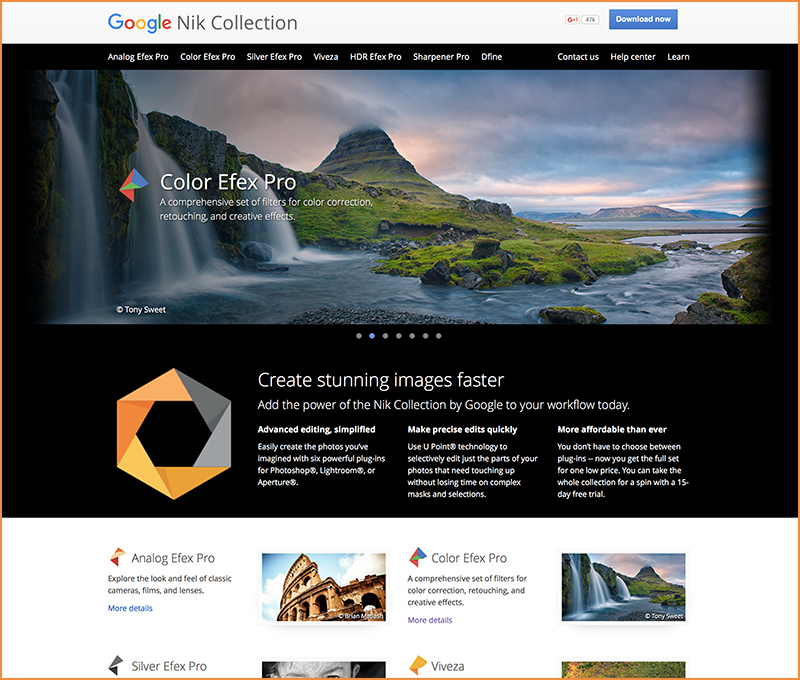 Starting immediately, Google’s Nik Collection of desktop image editing plug-ins is being offered free of charge. Nik’s Analog Efex Pro, Color Efex Pro, Silver Efex Pro, Viveza, HDR Efex Pro, Sharpener Pro and Dfine apps are all available as a free download from Google, a substantial savings over the previous $150 price. This is stunning news, I bought into these APPS a few years ago and they are truly brilliant especially now they are FREE. Hi Philip, thanks for the heads up. Looks interesting and the price is right!